Patriotism and pacifism: Valley radicals resist the call for war! 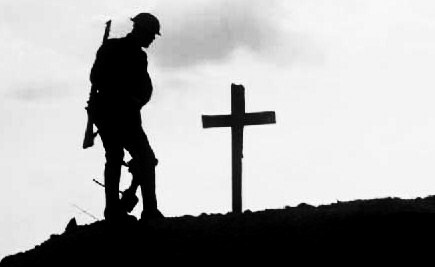 Michael Gove has recently reminded us that to win a war you have to convince people that it is right to fight – even if it happened a hundred years ago! Radical Valleys aims to not just look at history, but also to encourage people to draw lessons and consider parallels with our own age. Don’t miss it – a lively, informative and interesting discussion is guaranteed! ‘Labour history’ is one of those terms which sound depressingly old-fashioned, conjuring up images of earnest chaps debating the rights and wrongs of obscure strikes in 1891. The subject seems to have virtually disappeared off the university curriculum, replaced by more modern-sounding subjects. And there’s little doubt that the traditional approach towards ‘labour history’ had its faults. Some of it tended to be more a catalogue of heroic struggles, usually ending in failure. Far too much of it was focused on strikes, yet the vast majority of working class people would spend their entire working lives without ever taking industrial action. A pity that the nuances of everyday working class life tended to be ignored, or – in the case of ‘deferential’ behaviour – despised. There are the beginnings of a revival in radical history which focuses on the lives of working class people in a way which isn’t patronising or based on hero worship. The Working Class Movement Library in Salford, set up by that remarkable couple Ruth and Eddie Frow, continues to provide an important service not just to the left but to the local community in Greater Manchester. And just down the road there’s the People’s History Museum in a superb new building offering a wide range of facilities and excellent temporary as well as permanent exhibitions. Here in the Colne Valley there are the stirrings of a radical grassroots-based approach to our local history. On Saturday November 2nd the newly-formed ‘Radical Valleys Network’ is holding a one day conference at the Red and Green Club in Milnsbridge which explores ‘the radical history of the Colne and Holme Valleys’. This was Victor Grayson’s former stamping ground, where he was elected as MP in 1907 on a programme which he described as ‘revolutionary socialist’. Each of these themes has relevance to what is happening today. The valleys had a strong co-operative tradition and that is being revived through a number of independent worker and community co-operatives. The Red and Green Club itself is an example; there’s a superb bakery and a popular local grocers run as co-operatives. The strong choral and brass band tradition is still very much alive, complemented by new musical forms. Huddersfield and the valleys was a hotbed of Chartism in the 1840s and today there’s interest in extending local democracy to a grassroots community level. The new radical culture which is emerging in the Colne Valley is not based on any one political party. As I alluded in the last ‘Points and Crossings’, the Red and Green Club is about bringing different strands of the left together to develop areas of common agreement instead of the traditional sectarian approach of accentuating differences. And that’s another area where history has a few lessons for us. Victor Grayson’s 1907 election campaign was notable for the breadth of its support. Even though women didn’t have the vote, suffragists flocked to the West Riding to help in his campaign – which had ‘votes for women’ at its heart. 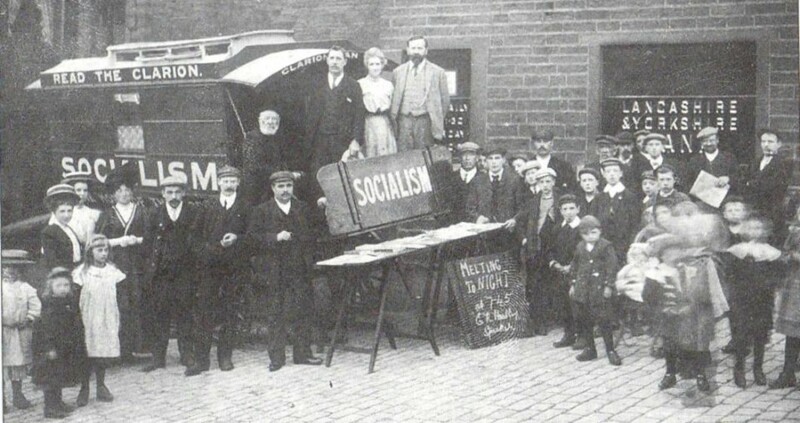 Anarchists from Merseyside came across to deliver leaflets and Marxists from the SDF joined forces with ethical socialists from the ILP to ‘support Victor’. Grayson was elected in a victory which shook Britain. The right-wing press feared it was the start of a bloody revolution, but it didn’t quite work out that way. Grayson had many faults and part of a radical historical approach is to be honest about his failings – hero worship is dangerous and invariably disappoints. But the bigger lesson is that the left and progressives can and should work together. In the run-up to the great TUC demonstration in Manchester on September 30th, a social at the Red and Green Club brought together a modern-day coalition of Labour, Co-op, Green, Left Unity, SWP, anarchist and non-aligned socialists. It’s important that we learn from our history that we can achieve much more through united action than doing our own separate thing. Naïve? Maybe, but it’s worth a try. It’s about patiently building relationships and recognising differences but finding the common ground. A serious approach to left history should be looking at examples where that worked in the past. Chartism is a good place to start, with the sadly neglected co-operative movement another. A sensitive approach to our history can guide us towards a new sort of politics which is inclusive, democratic and radical.